This is a distinctive style of exercise that combines the benefits of yoga and Pilates. You can rediscover the strength and flexibility of your body, and improve your stamina and balance, to achieve an optimum level of fitness. You can transform the shape of your body by strengthening your core muscles to create your own 'body beautiful'. Dynamic Pilates sequences are graded to suit your energy levels at different times of the day. Yoga postures show easy and more advanced variations, to suit your level of flexibility. It is fully illustrated with over 325 practical photographs that clearly demonstrate the postures. 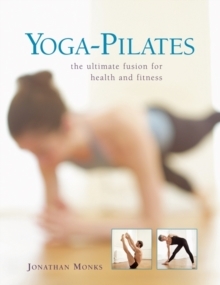 This book fuses the stretching and balancing of yoga, and the muscle control demanded by the technique of Pilates, to create a new style of practice that begins with the core strength of the body. 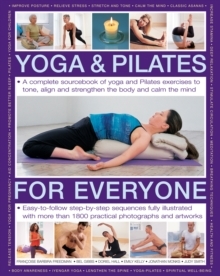 The main part of the book is devoted to the individual yoga-Pilates postures, supplemented with advice on extending or moderating them. The postures are then brought together in a series of sequences devised by the author for warming-up, to aid relaxation, help energize, and increase strength and body awareness. Fully illustrated, with step-by-step sequences, this book is an expert guide to an exciting fusion of two influential health disciplines, and is for anyone interested in increasing their fitness levels, and enhancing an overall sense of wellbeing.